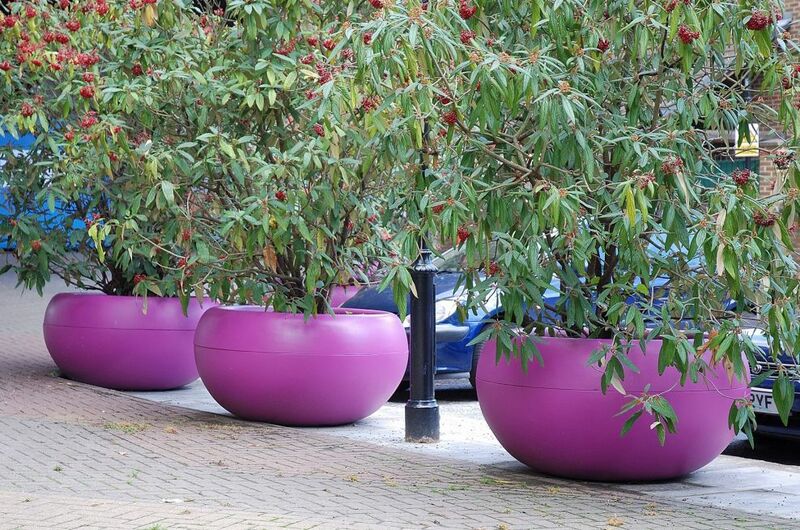 Striking composite tree planters from IOTA bring a much needed shot of colour to a pedestrian walkway under the A40 Westway flyover in London. 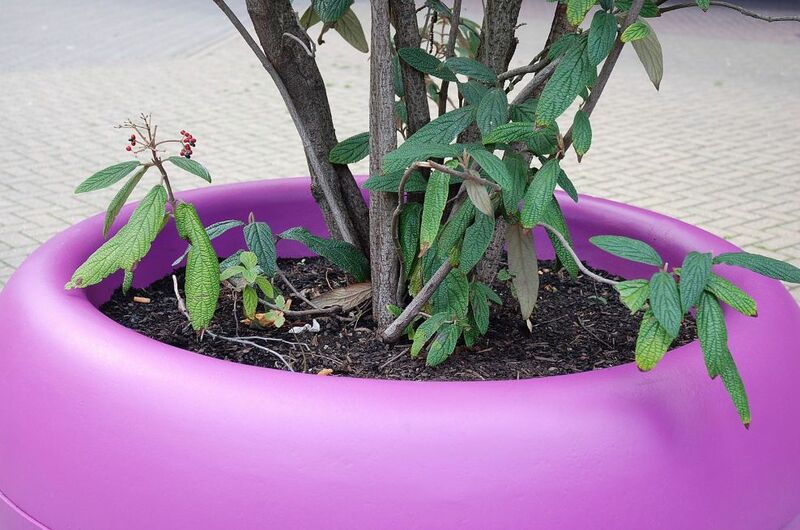 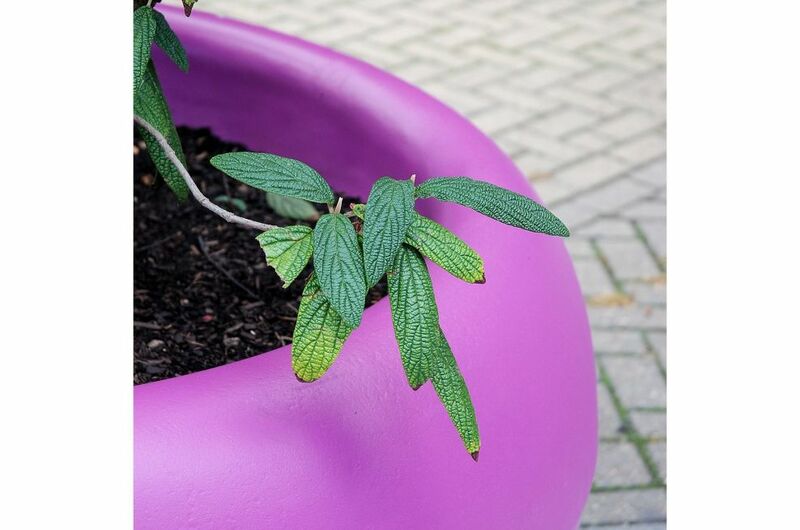 The planters were commissioned for a street improvement scheme by the Westway Development Trust, who selected the custom colour RAL 4008 [Signal Violet]. 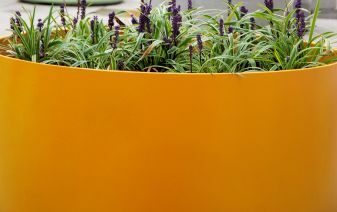 The planter design chosen, the ALADIN is from IOTA’s Boulevard range of planters made from high-performance Fibre Reinforced Cement [FRC]. 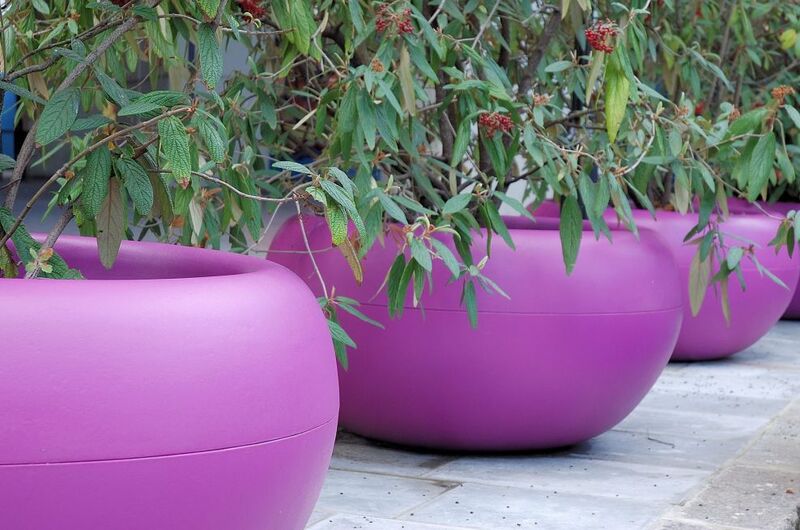 The ALADIN is a huge pot, suitable for planting sizeable trees, available in three sizes of diameter 1120mm, 1380mm and 1650mm (the middle size is shown here). 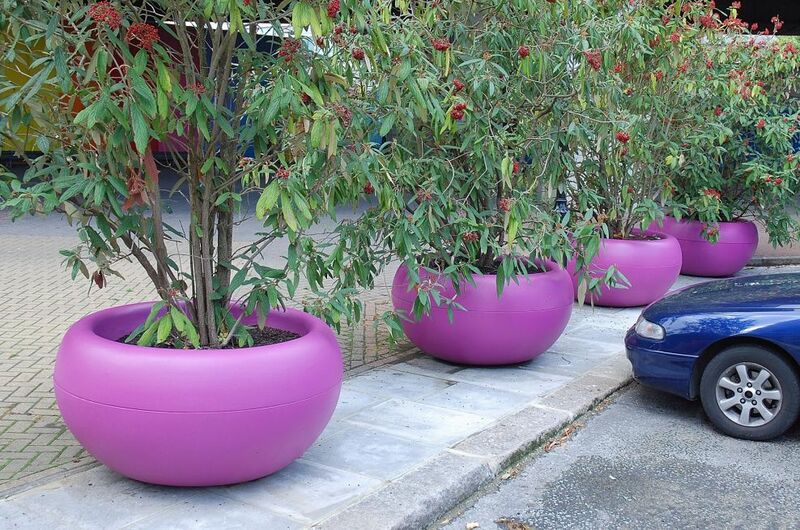 Any design from the Boulevard range can be colour-customised: there is no additional charge for this service, however certain minimums apply and the leadtime is 4-6 weeks. 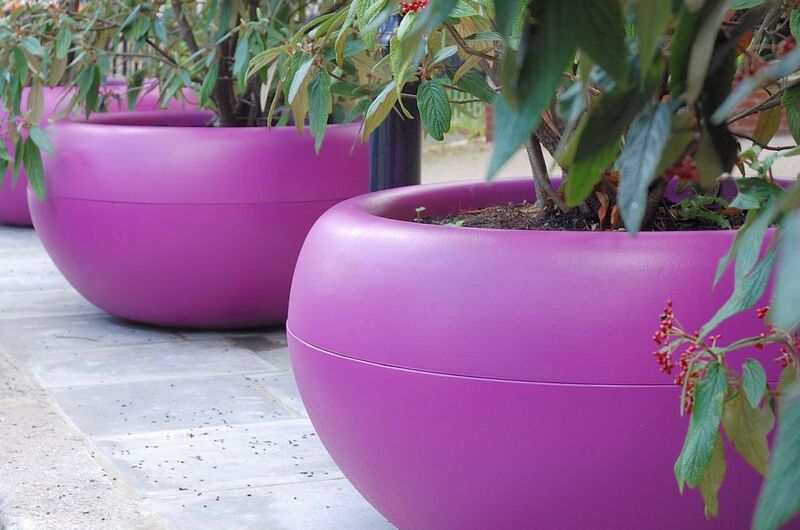 Industrial paints are used, and the finish is both hardwearing and UV-colourfast. 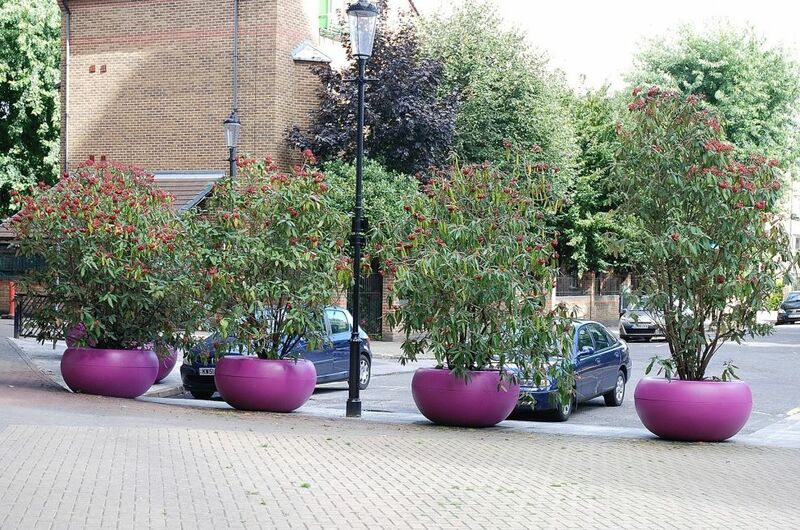 The Westway Development Trust was formed in the 1970s, to take on the challenge of regenerating and managing 23 acres of land under the newly constructed A40 motorway. 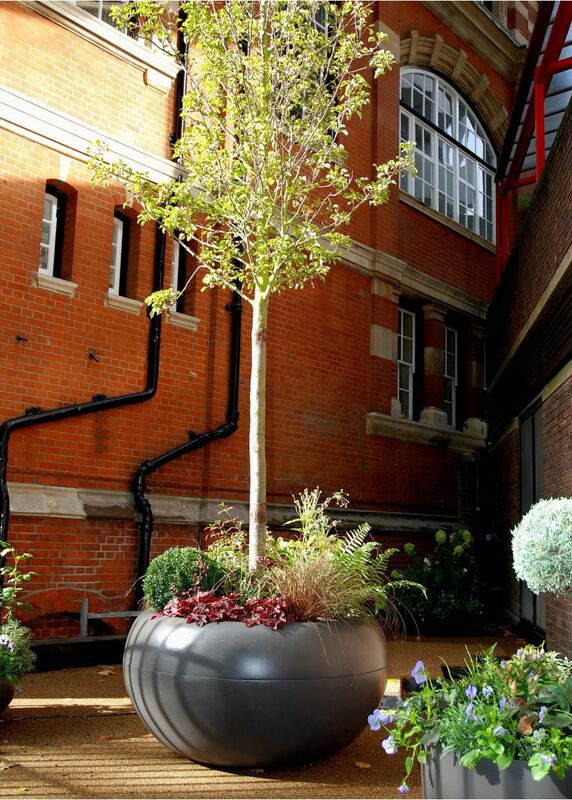 As well as being a pioneer of community ownership for major public assets, the Trust was created to be a pioneer of social enterprise – to use its initiative to generate income in order to deliver a programme of community benefits to the residents of the Royal Borough of Kensington and Chelsea.